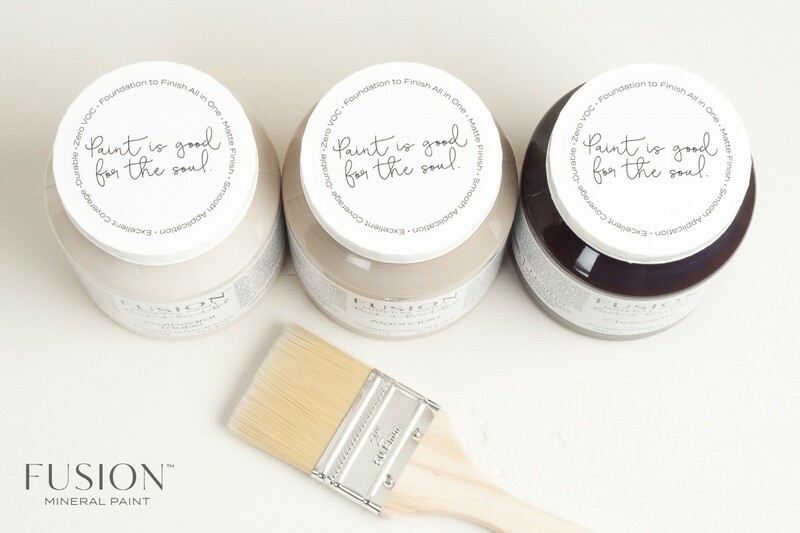 So you’ve got the right paint…now it’s time to choose the right tools for your project to ensure the finish you wish to achieve. 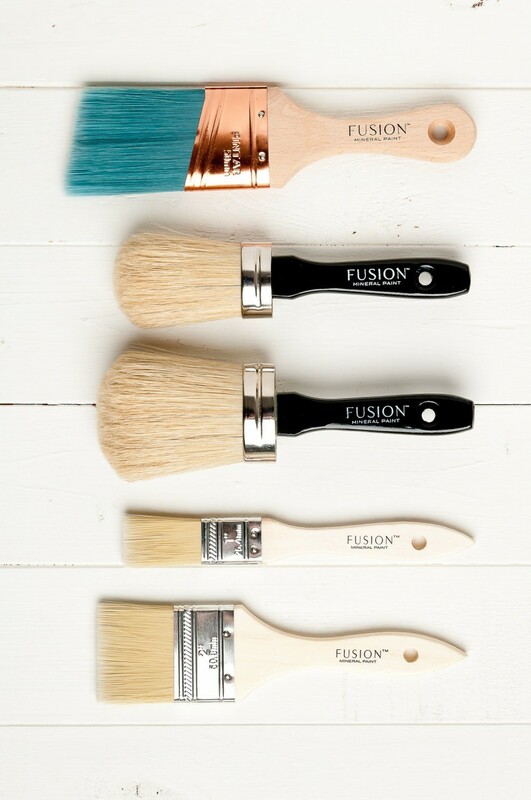 With so many options, how do you know which brush or roller to choose for the perfect flawless finish? 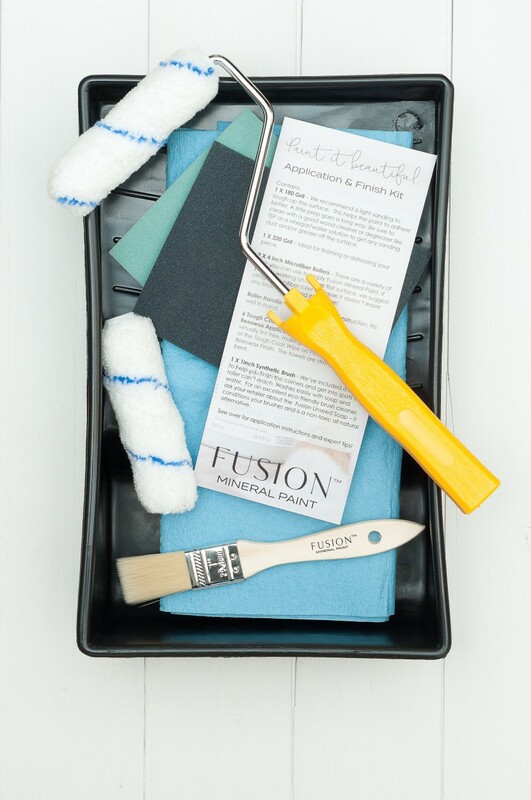 It’s a mixture of the tools, and your application to ensure a beautiful finish. 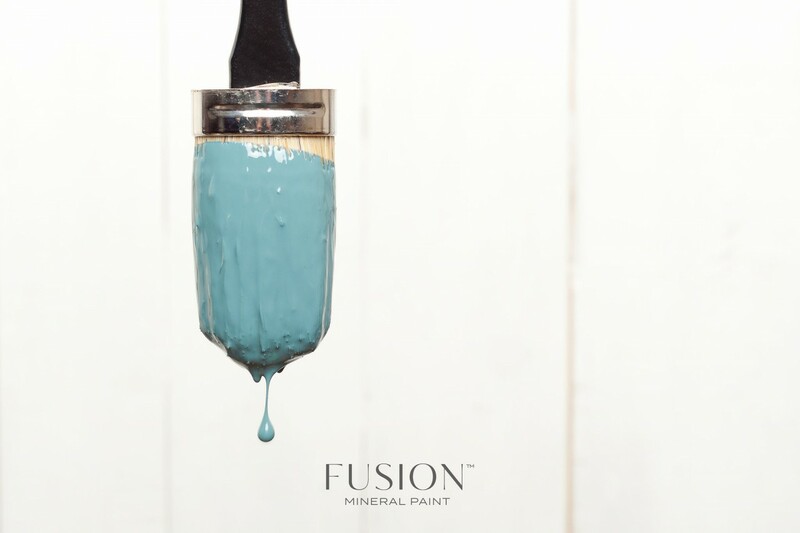 Let’s walk through what we offer at Fusion Mineral Paint! Fusion does have incredible self leveling properties when tested against the competition, however that doesn’t mean that it is magic! You need to add your touch to it too. 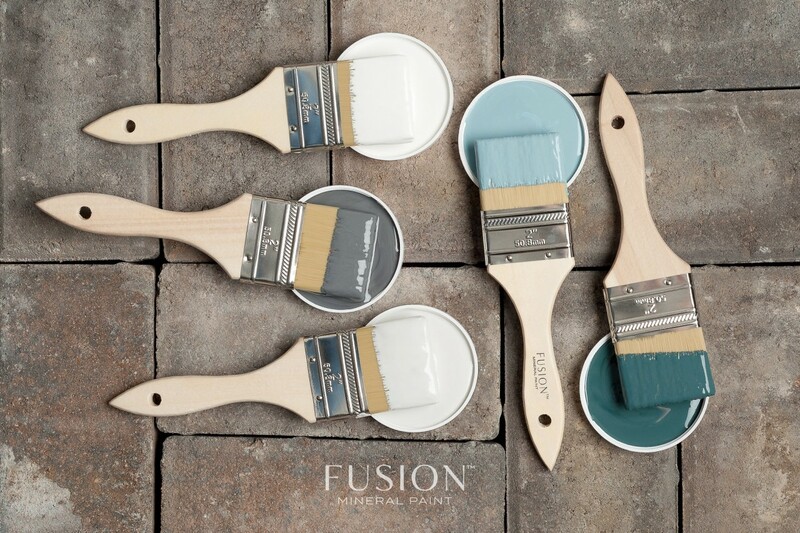 Fusion will go on and look a certain way, depending on how you apply it and with what tools. Fusion will go on and look a certain way, depending on how you apply it and with what tools. 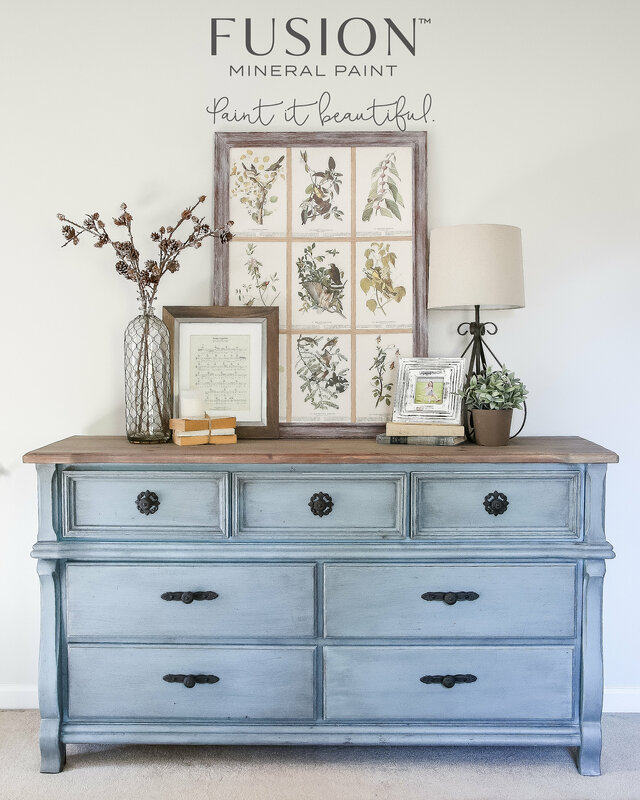 For example, a natural bristle brush gives you a hand painted look with some brush marks. 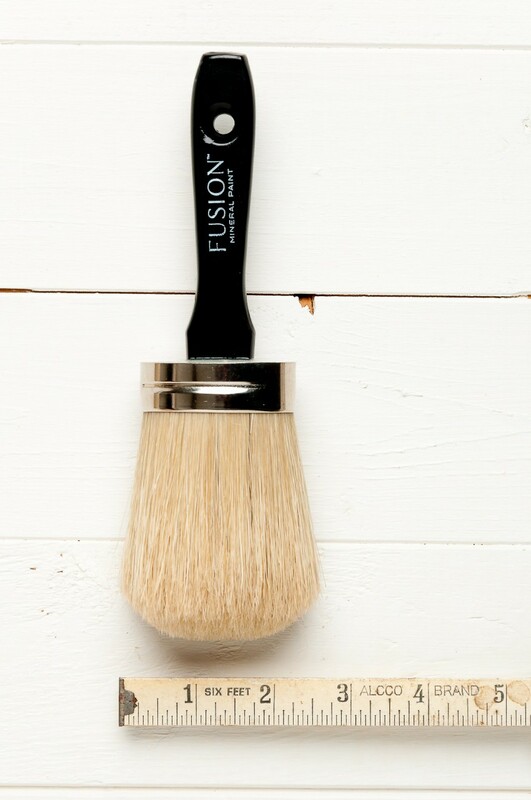 I love using a natural bristle brush because it holds so much paint so nicely so I’m not constantly re-dipping my brush into the container, and painting is quick as I get excellent fast coverage! 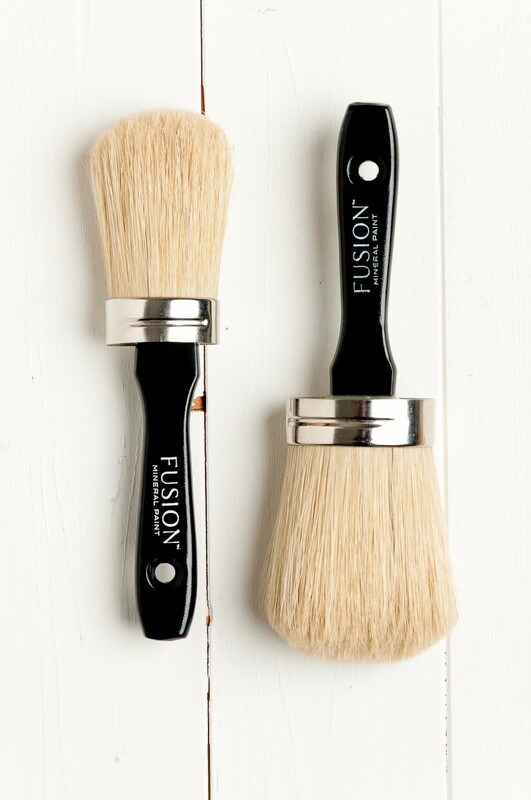 Our Natural bristle brushes come in 1 inch and 2 inch sizes. The 2 inch is perfect for the average job, the 2.5 inch is great for much larger surfaces like headboards etc. 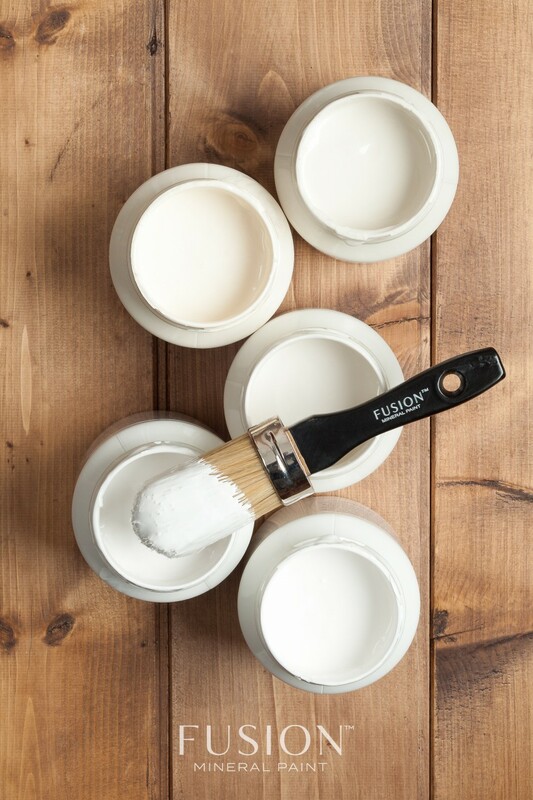 A roller applies the paint seamlessly and evenly for a virtually flawless finish quickly. I love using a roller for larger sized projects with flat surfaces. Table tops or kitchen cabinets and then I get into any of the smaller areas with the angled synthetic brush. My top tip is applying first with a roller, and then immediately a few seconds after, taking a slightly damp (with paint) brush (but nearly dry) running along the surface to smooth out any stippling. Sometimes rollers can leave a slight texture behind. Our Microfiber rollers leave virtually nothing behind! 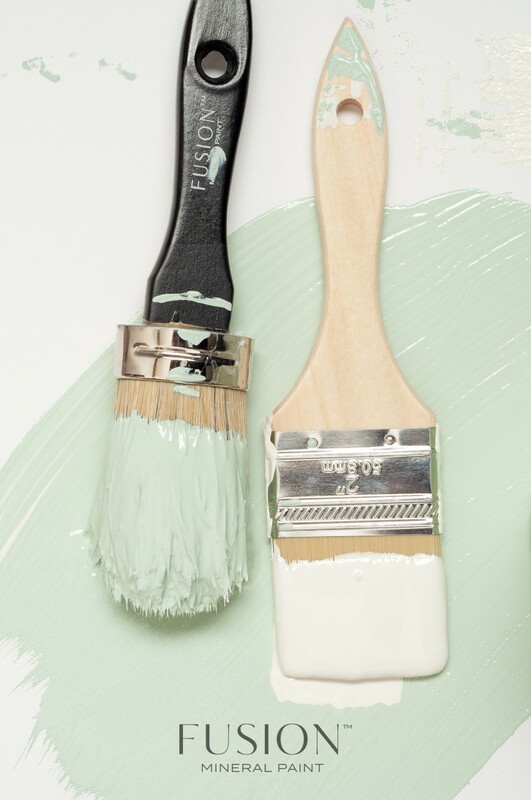 Synthetic brushes are excellent for virtually no brush strokes being left behind, however the key with these tools are multiple coats of paint often look better than just one slapped on coat of paint, as you would typically get with a natural bristle. 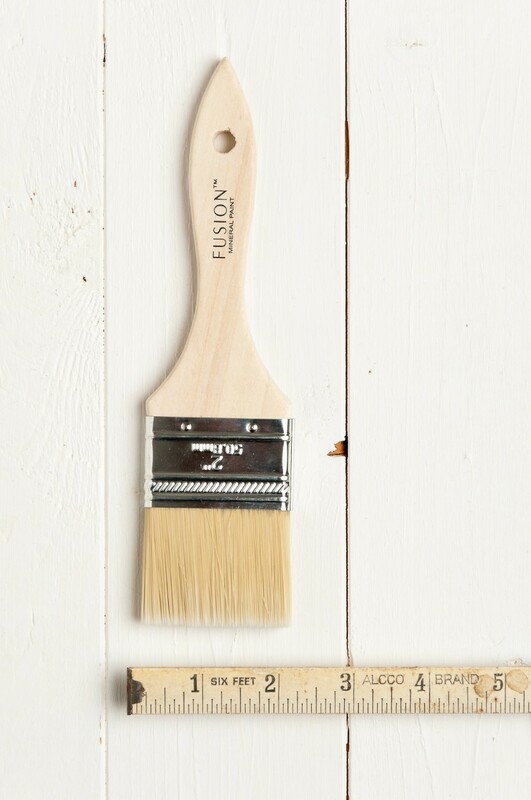 This 2 inch synthetic angled brush has the finest fibers so as not to leave brush lines behind. Flat synthetic brushes are inexpensive and create a super smooth finish. They come in 1 inch and 2 inch sizes. 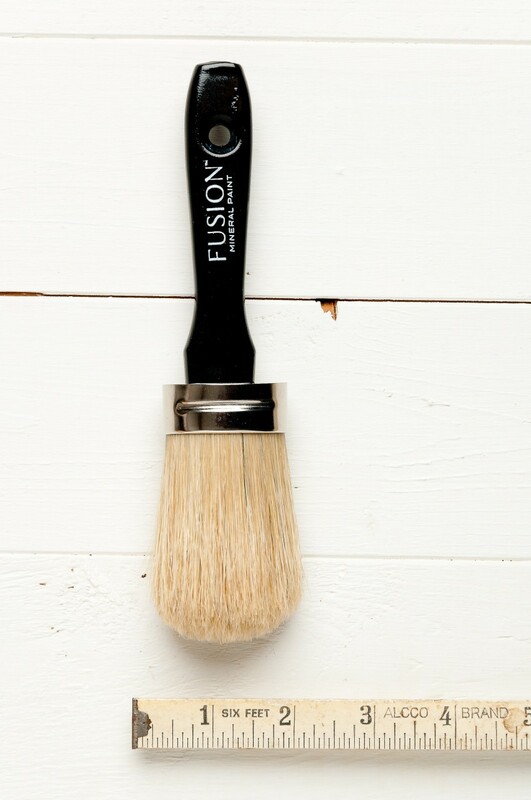 This 1 inch flat synthetic brush is highly economical and create a super smooth finish. 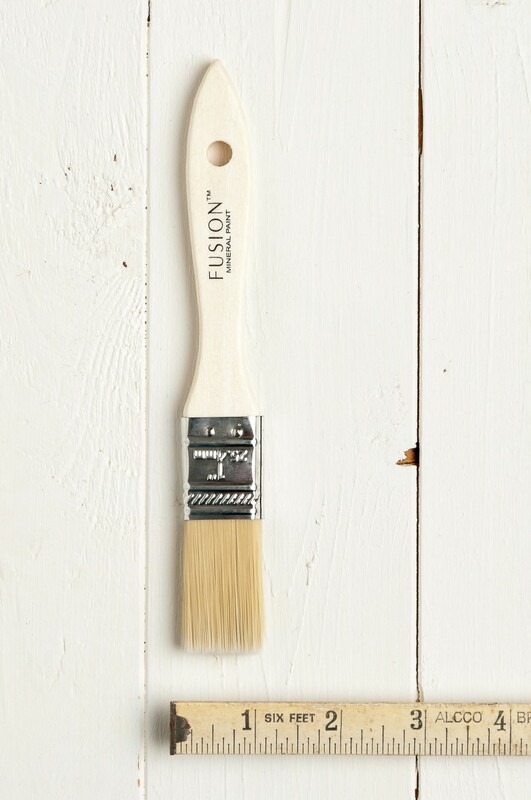 This 2 inch flat synthetic brush is highly economical and create a super smooth finish. How to hold your brush is key. 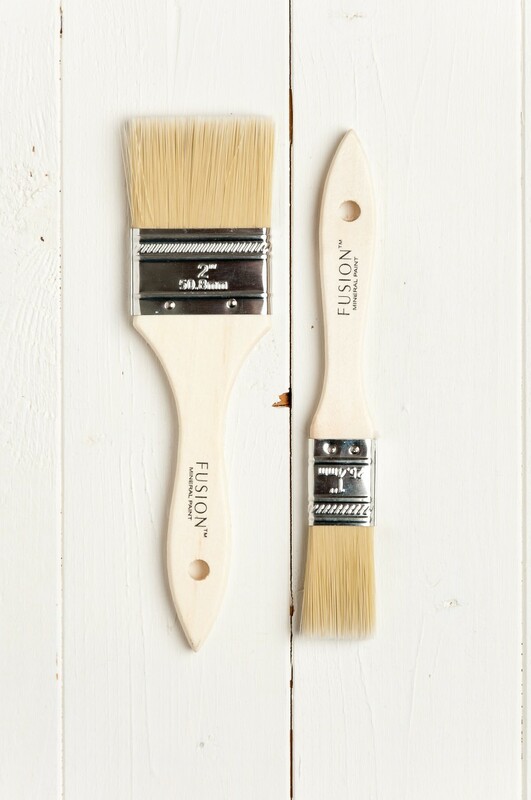 You should have the brush tilted horizontal to your surface, and dragging the paint sideways. 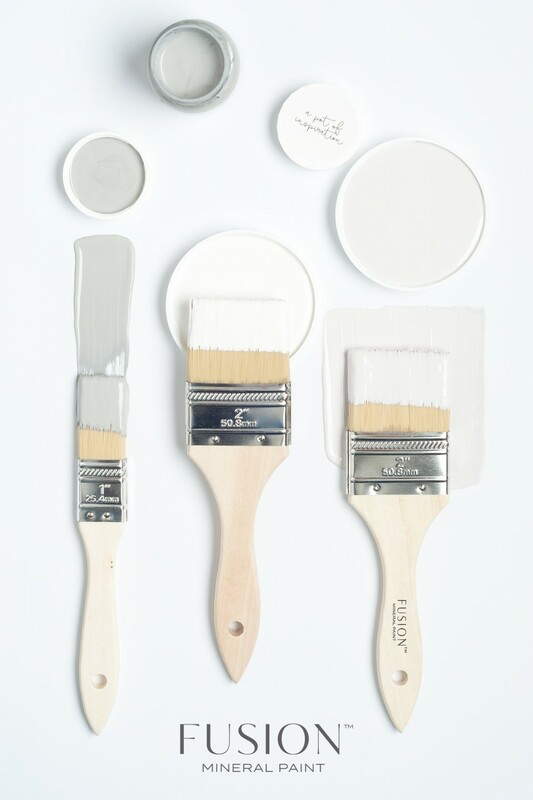 You don’t want to apply too much vertical pressure as the pressure of the brush will remove more paint, than lay down. 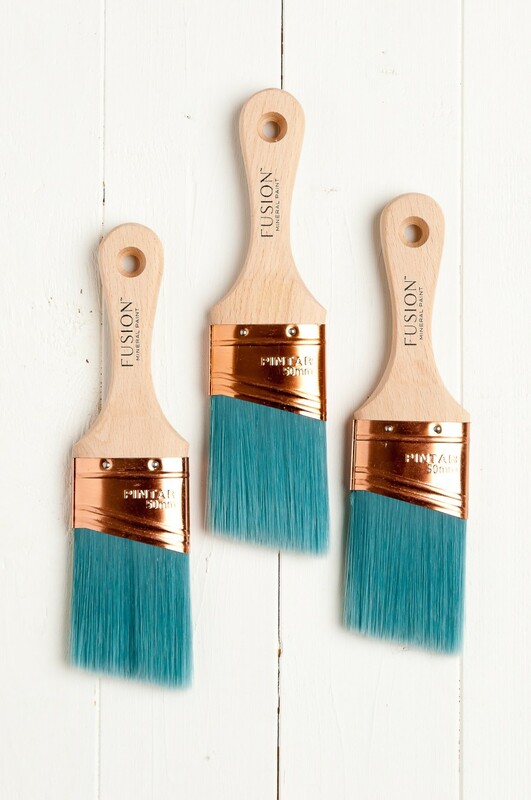 Fusion Mineral Paint Brushes look gorgeous and help you paint it beautiful! 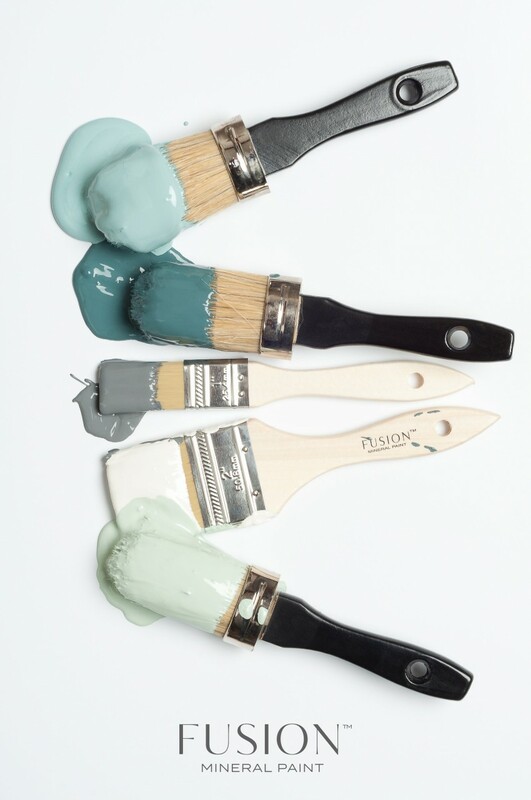 Don’t have too much paint on your brush or roller as too much paint may leave behind texture. 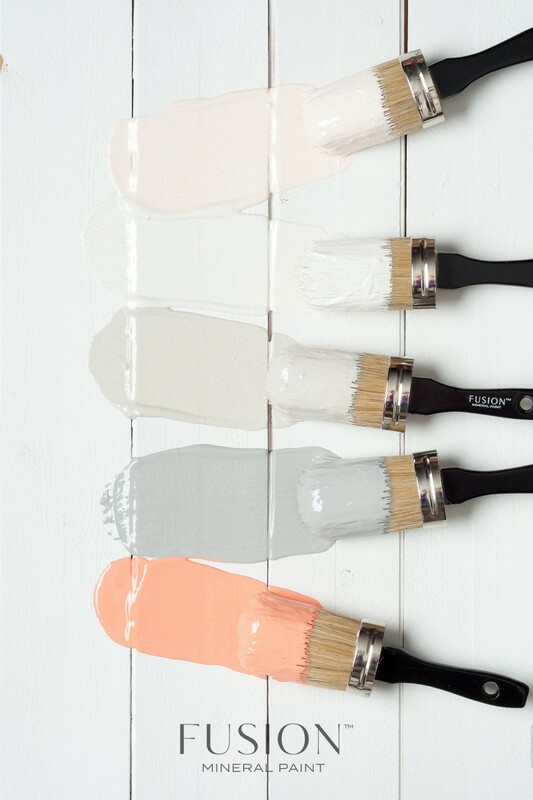 The above photo shows ways too much paint on a brush for application purposes, but it sure looks nice in this photo! Texture can be brush stroke marks or roller line marks from simply too much product on your applicator tool ( brush or roller). You know you have too much paint when you start to apply the paint and as you are working with it you see thick lines of wet paint being left behind. The image below again shows way too much paint on the brush. 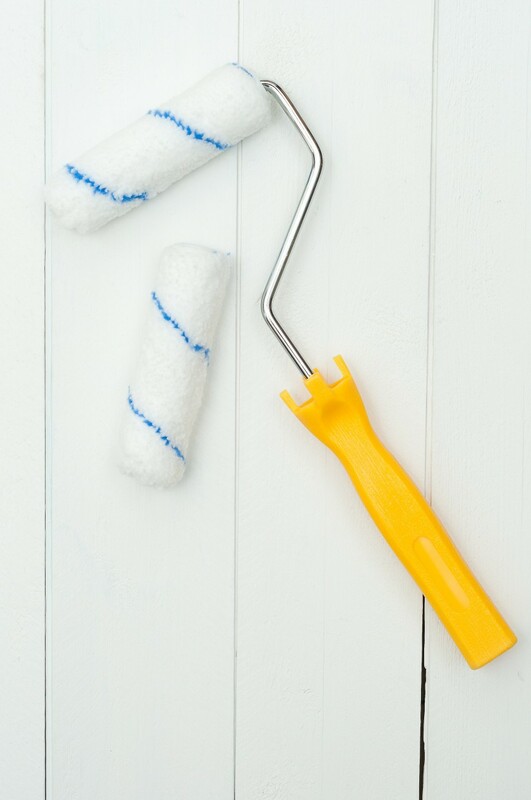 Professional finishers often spray to avoid using brushes and rollers that may leave marks behind. 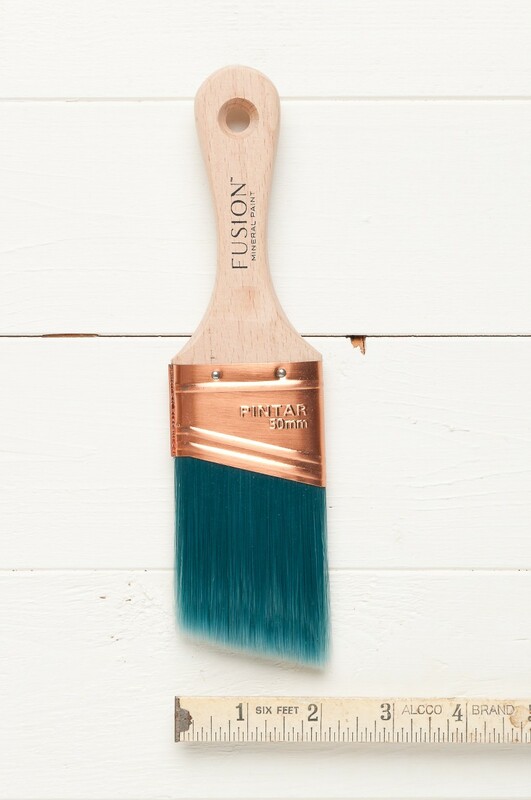 It tales a skilled and practiced hand to perfect your finish, however following the above tips and using the right tools along with Fusion Mineral Paint will result in a beautiful finish. 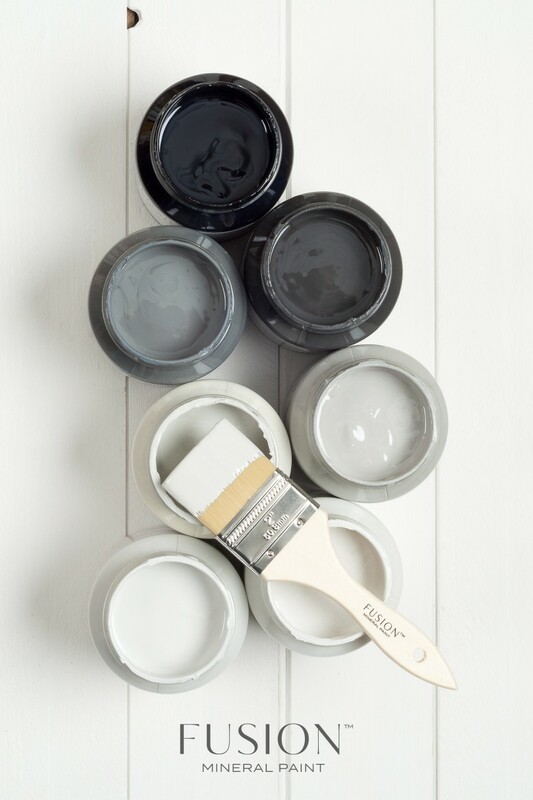 It’s important to have realistic expectations when painting a piece by hand, chances are it will not look like a spray lacquer finish, however isn’t that the beauty of doing it yourself? 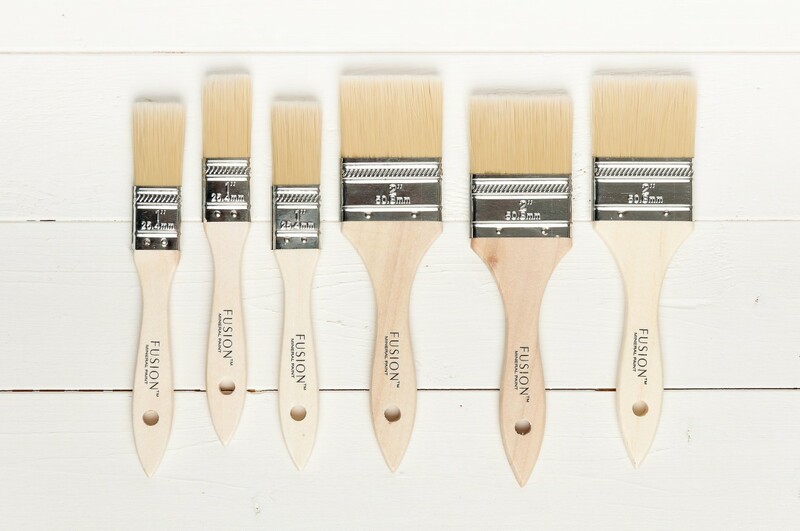 You can achieve a beautiful flawless finish by using the right tools, the right amount of paint on the tools. Practice makes perfect, and taking a workshop with one of our merchants can help you become a pro! Spraying paint will usually result in a seamless finish, however it can be quite cumbersome to set up a sprayer, have the proper masks and protective gear, ventilation and spray room designated for this type of application, that using our brushes and rollers properly can give you a very comparable finish if applied correctly. 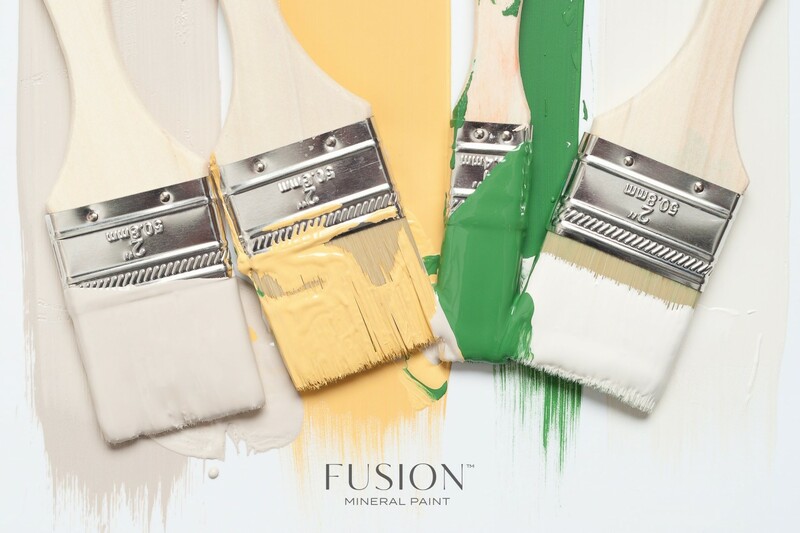 Paint is good for the soul, no matter what your project, enjoy using Fusion Mineral Paint!